Harmony Hall & Courtyard is newly renovated to accommodate dinner receptions, banquets, meetings, performances, and recitals. The space can seat a maximum of 250 guests dining, 350 guests standing or assembly. Equipped with an AV system and WIFI, the hall also has access to an adjoining catering kitchen and restrooms. 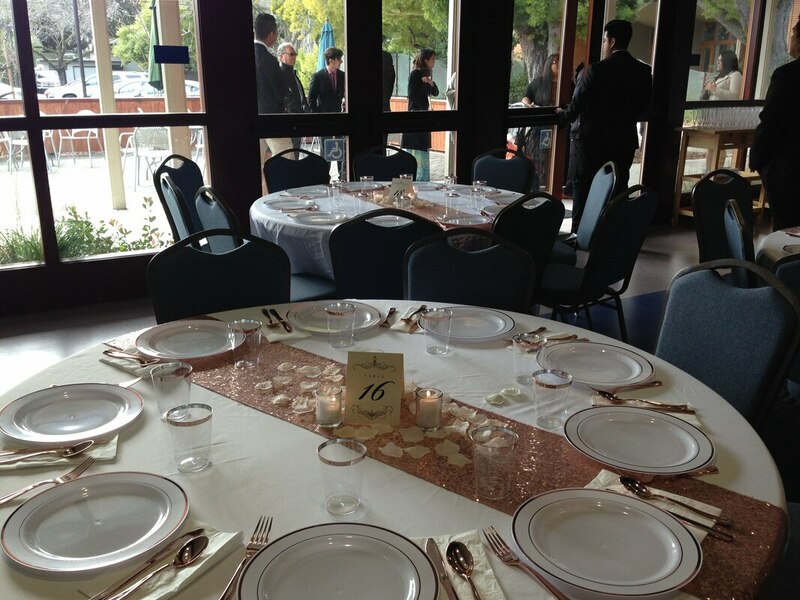 Located in Palo Alto with plenty of parking, Harmony Hall is easily accessible from HWY 101. ​Here’s an opportunity to truly make your event – your own. The possibilities are endless! We welcome your selection of vendors for catering, cakes, photography, music, flowers, and additional entertainment. We have a list of vendors that are familiar with our facilities. Let us help you make your dreams a reality. Contact us for more information or schedule an appointment to tour the venue.